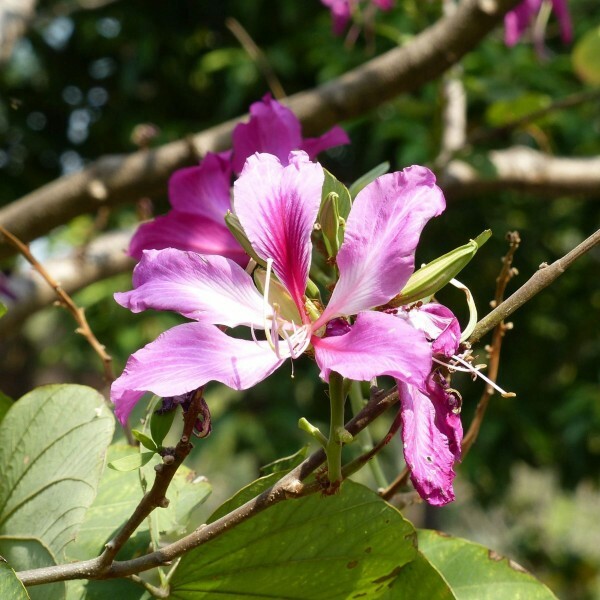 Extraordinary orchid-like blossoms make this tropical tree one of the most beautiful available. 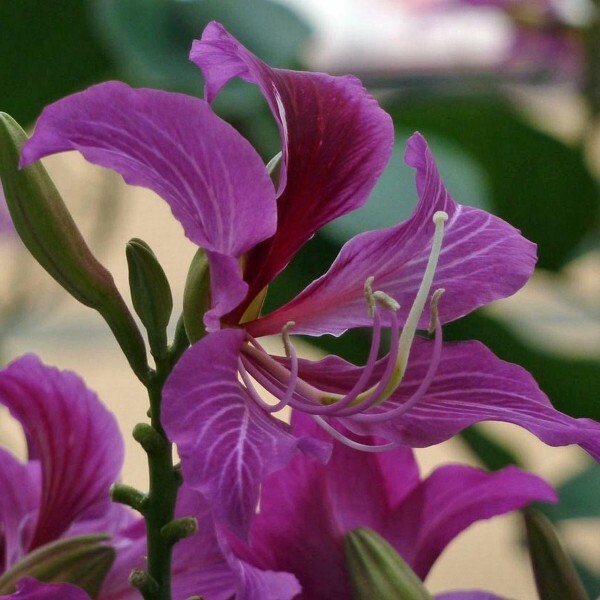 Orchid tree is native to Southeast Asia and is well adapted to hot tropical climates as well as more mild ones. It grows to a medium height and has an open canopy. This semi-evergreen tree loses its leaves in early spring just before it blooms, which really helps the showy flowers stand out. 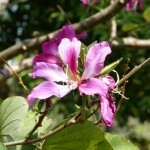 The exotic blossoms are spidery and rich magenta to pink in color. They literally cloak the entire tree creating a spectacular show. The messy fruits that follow are foot-long flat brown pods filled with rounded seeds just smaller than a dime. These self sow prodigiously in sandy soils and may become invasive where conditions are right. The soft green, distinctly two-lobed leaves reappear shortly after flowering begins. 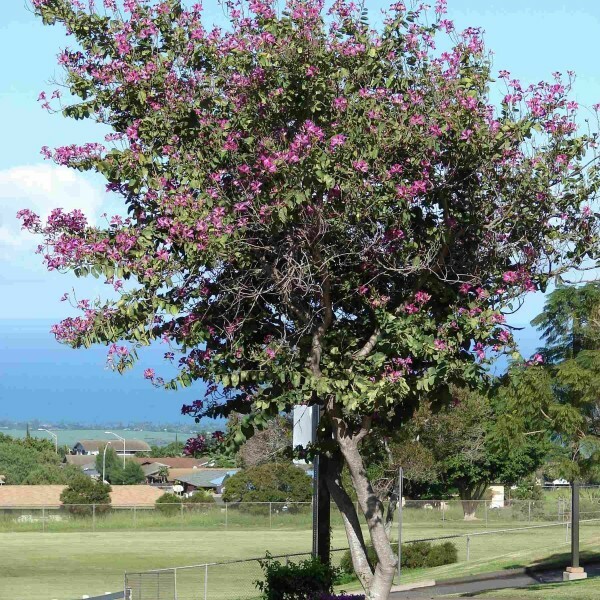 This tough tree requires perfectly drained soil and full sun. It is very drought tolerant once established but if conditions are too dry it may become stunted but will not withhold bloom. 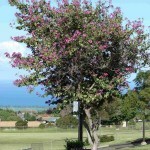 This is a perfect problem solver for warm drought stressed areas in need of colorful accent trees. Germination Soak 24 hours in hand hot water, which should be changed daily. Most seeds swell up when they are soaked, those that do should be sown immediately. Sow seeds about 10 mm deep in a Peaty seed sowing mix at about +25-+30C. Bauhinia purpurea seeds will usually germinate in 20-40 days.